Set in the Cannaregio district, 450 metres from Venice Grand Canal, Al Mascaron Ridente offers air-conditioned rooms with free WiFi. The Venice Casino is 5 minutes' walk away. It’s the best place to stay in Venice! Clean rooms, nice location and excellent breakfast. 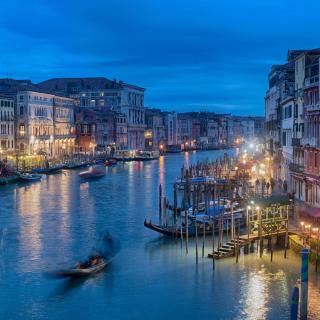 Hotel L' Orologio offers accommodation next to the Grand Canal in Venice, a 5-minute walk from Rialto Bridge and 600 metres from Campo San Polo Square. WiFi is free throughout. Beautiful hotel. Very friendly and honest staff. Thy give us good recommendations what to visit. provided us with free map of the city. Very good air conditioning. Breakfast is great. Hotel is very extremely clean. 15 min walk from San Marco parking. Or you take the water bus vaporetto. Hotel is right in the middle of all you want to visit in Venice. Located 5 minutes' walk from St. Mark's Square, Splendid Venice - Starhotels Collezione is set on a canal in the Mercerie area of Venice. The room was very nice decorated and furnished. Bed clothes clean and good quality; bathroom beautiful, all marble. Location - very close to San Marcos. 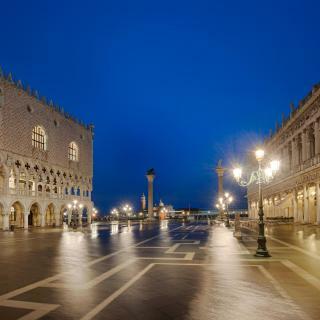 The NH Collection Venezia Palazzo Barocci faces Venice's Grand Canal and the Rialto Bridge. Rooms have free Wi-Fi and satellite TV. Piazza San Marco and La Fenice Theatre are less than 1 km away. The location can't be beat in Venice. Hotel Flora features a nice leafy courtyard where a varied breakfast buffet is served every morning. Set in a 17th-century building, it is a 5-minute walk from St Mark’s Square. Lovely little garden, fantastic breakfast with home baked lemon cake. Will go back. 80 metres from Basilica San Marco, AC Hotel Venezia by Marriott is set in Venice and has a garden and a bar. It was very clean and located in the best place in venice. Located in Venice, 900 metres from La Fenice, Hotel Nani Mocenigo Palace features a garden and free WiFi. All air-conditioned, rooms come with a flat-screen TV and a private bathroom. I am fully satisfied with every single point of the hotel. Dating back to the 1400s, Ca' Dei Polo is next to Tolentini Church and 5 minutes' walk from Piazzale Roma, Venice's main bus station. It features a large terrace overlooking the Grand Canal. The host Francesca was warm and friendly and made our stay a memorable one. Featuring free WiFi throughout the property, Hotel ai do Mori offers accommodation in in Venice, a few steps from St. Mark Basilica. Rooms have a flat-screen TV and are air conditioned. Everything was spot on!! Amazing location. Incredibly clean. Hotel Rio is located in the centre of Venice, just 250 metres from Saint Mark’s Square. Free WiFi access is available in all areas. This hotel was beautiful. Room was stylish decorated. Boasting a canal-view terrace and free WiFi throughout, Hotel dalla Mora is located in the Santa Croce district of Venice, a 3-minute walk from San Nicola da Tolentino Church. The place is so cute, simple and in a great location. Located 450 metres from the Rialto Bridge, the Mignon is an intimate hotel in Venice’s Cannaregio quarter, 300 metres from Ca d'Oro Water Bus Stop. Great value for money, location, nice breakfast. Hotel Cannaregio 2357 is in Venice's central Cannaregio district, 170 metres from Venice Casino. The staff were very helpful, gave us a map when we arrived and showed us all the places of interest. Locanda Silva is a small, cosy hotel managed by the Perut family and located in the heart of Venice, near Saint Mark's Square. The location and friendly staff. Clean rooms and toilet. Set on Giudecca Island, Belmond Hotel Cipriani offers stunning views of Venice Lagoon and the Doge's Palace. It features a large outdoor swimming pool, tennis court and luxury wellness facilities. An urban resort, in the right place with the right charme. OLYMPIC. Not just by pool size ! Hotel Al Codega is set in a quiet courtyard, just 5 minutes' walk from St Mark's Square and the Ducal Palace. Rooms are air conditioned and have flat-screen TVs. Absolutely no negative comments at all, a superb hotel in every respect. This elegant 12th century building was once home to the Doge Marino Falier. Just 300 metres from Rialto Bridge, it offers elegant rooms with antique furniture and original paintings. We had lovely time in Venice and Hotel Antigo Doge. Location is perfect. Situated a 6-minute walk from Venezia Santa Lucia Train Station, Hotel Filù offers air-conditioned rooms with free WiFi. My husband, 17 months old baby and I stayed in Filu hotel for 3 nights. Everything was just perfect! Set in a 15th-century building behind St. Mark’s Square, the small, elegant Relais Venezia is located in one of the city's oldest and smallest streets. All rooms have a flat-screen TV. Perfect location in the city center, close to everything. The Aqua Palace is a design hotel located in the Castello Quarter of Venice. It offers stylish rooms and suites with satellite TV and free Wi-Fi throughout. Silvia serving breakfast in the morning so friendly and helpful. 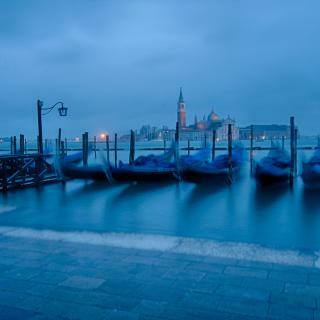 On average, it costs CNY 689 per night to book a 3-star hotel in Venice for tonight. You'll pay on average around CNY 1,115 if you choose to stay in a 4-star hotel tonight, while a 5-star hotel in Venice will cost around CNY 2,727 (based on Booking.com prices). What is the best neighbourhood to stay in Venice? 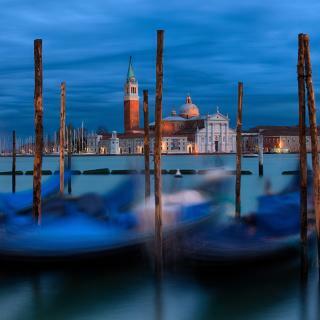 San Marco, Cannaregio and Dorsoduro are popular with other travellers visiting Venice. What hotels in Venice have nice views? 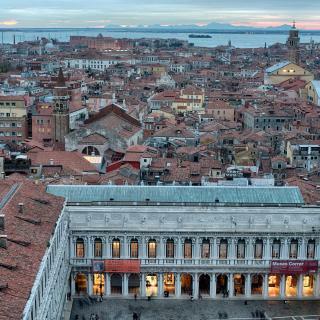 Belmond Hotel Cipriani, Liassidi Wellness Suites and Santa Croce Boutique Hotel have received great reviews from travellers in Venice regarding the views from their hotel rooms. What are the best hotels to stay in Venice? Rosa Salva Hotel, Hotel A La Commedia and Palazzo Veneziano are some of the popular hotels in Venice. On average, 3-star hotels in Venice cost CNY 749 per night, and 4-star hotels in Venice are CNY 1,293 per night. If you're looking for something really special, a 5-star hotel in Venice can on average be found for CNY 3,283 per night (based on Booking.com prices). Many families visiting Venice loved staying at Hotel Moresco, Santa Croce Boutique Hotel and Hotel Nani Mocenigo Palace. The average price per night for a 3-star hotel in Venice this weekend is CNY 3,079 or, for a 4-star hotel, CNY 4,937. Looking for something even fancier? 5-star hotels in Venice for this weekend cost on average around CNY 51,922 per night (based on Booking.com prices). 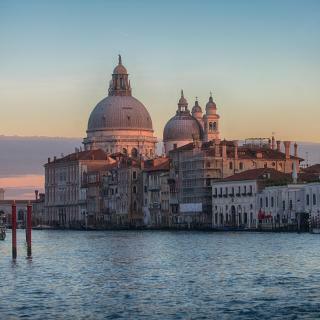 What are the best hotels in Venice near Venice Marco Polo Airport? Travellers who stayed in Venice near Venice Marco Polo Airport (VCE) have said good things about Annia Park Hotel Venice Airport, Courtyard by Marriott Venice Airport and Hotel Gronda Lagunare. What hotels in Venice are good for couples? These hotels in Venice are highly rated by couples: Hotel Moresco, Hotel Nani Mocenigo Palace and Corte Di Gabriela. What hotels in Venice offer an especially good breakfast? For hotels in Venice that serve up a highly-rated breakfast, try Belmond Hotel Cipriani, Corte Di Gabriela and Hotel Moresco. 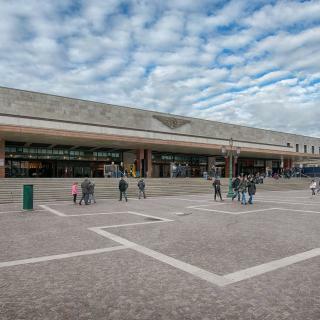 Buses and boats run from Marco Polo International Airport and Treviso Airport to the city centre. From luxury hotels, to comfortable B&B, to self-catered apartments, Booking.com has great accommodations for your Venice trip. Spent a great 3 days 2 nights in Venice, and booked this hotel for our stay. Very well located a short distance between both the Rialto Bridge and San Marco. The hotel was clean and very comfortable. The staff at the desk very friendly and helpful. Breakfast is continental style with plenty of yoghurts pastries rolls etc and coffee/chocolate on tap. As we had a whole last day in Venice we were able to leave our luggage and enjoy Venice before leaving. The Hotel is down a side street (as most are) so did take a bit of locating at first but that added to our great stay in Venice. The ONLY negative comment ( although we laughed about it) was the Hairdryer in the room. It's one of those "hotel" jobs basically a pipe in the Bathroom!! So anyone who who won't leave without a perfectly blow dried hairdo best take their own!! Would very much recommend this hotel. We came here with our 11 year old twins. We came here with our 11 year old twins. It's a great place for adults and older children (potentially studying history and art at GCSE / A level) but not great for younger ones as it's all about the architecture and historical aspects. Great places to eat and drink with fantastic views. Select your hotel carefully as a room one floor above street level near the main drag of restaurants will be noisy, so take ear plugs. We had an apartment off a main ally which was super quiet, but our first night we stayed in a first floor apartment by a restaurant that sets up outside seating so people talking late/early. The bar at the hotel Rialto does a great Aperol spritz. Hotel La Commedia has a fabulous roof terrace but expensive drinks. Harry's bar totally overrated and no obvious outside space even more expensive drinks! A must see in Italy. A must see in Italy. Visiting the islands for one of the days was amazing and the sunset on the way back was a highlight. There is no bad food in Venice, it is all amazing. Best pizza and gelato. But the late night street stalls start selling alcoholic juices at dusk - are the best. It is safe to wonder the back streets and that is where things are affordable and the food is at its best. Find the oldest book store as it is enchanting. You cannot get lost in the maze of streets, just keep walking and you end up back where you started. Every land mark and gallery is worth seeing so take your time. Don't go in the rainy season as the street flood. When arriving in Venice with luggage you have to wheel your bags to your hotel so check out the baggage man with a trolley before the bridge or at the train station. Negotiate a fee or catch a water taxi but buy your taxi passes first on arrival at the booth next to the bridge. Sandwiches at the food stand are pricey but yummy as you cue for your passes. Buy a two or three day pass for the water taxis as it is great value and you can go to the outer islands on that pass. Accommodation is more expensive in Venice so up grading and spending a bit more - it is worth it or you maybe a bit disappointed with your room when comparing it with the rest of Italian accomodation. Most people spend one or two days in Venice - We had three nights and four days in October -it was perfect. The accommodation had no lift which made it difficult when you have large bags. All rooms on top floor. Room very small and shower even smaller. My husband is only a little fellow and he hit the sliding door getting into the shower. The location was great. 300 meters from the water and cafes just outside the building. Took a tour of the grand canal which was great. Loved it. Venice is spectacular and one of our favourite cities in the world. Our accomodation was located perfectly but the bed was rock hard, pillows were flat and the air con was so noisy that it woke us up during the night when it would come on. Breakfast was good. When travelling a good nights sleep is a must and hotels should realise this for their guests. What we enjoyed about Venice was. 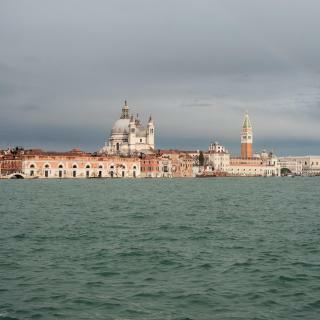 What we enjoyed about Venice was.... Its Variety - being in the midst of things one minute and a short vaporetto ride away being in a quiet canal, Murano and Burano Islands or the Lido. Its rich history and culture yet rubbing shoulders with modern day living Choice of places to stay and eat - especially Antica Besseta, San Croce. A brilliant place to eat with an excellent choice of food and good service. The Hotel Antiche Figure, San Croce, which offers such a welcoming and enjoyable experience without fuss. Sitting outside the hotel in the evening and simply people watching as the sunsets and the gondalos, water taxis and vaporettos pass-by. Walking a little way from the Grand Canal and wandering the back streets seeing local people going about their daily lives in such a interesting place - even watching the refuse collectors in narrow boats along the canals seems romantic! No matter how many times travelling along the canals always seeing something new. Always leaving Venice feeling you want to return.